Baseboards are another thing that you NEVER think about before buying a house. To be clear, they're the narrow wooden boards that run along the base of an interior wall that covers the joint between the wall surface and the floor. Baseboards are considered a type of moulding. Other moulding includes crown moulding (on the ceiling), door and window trim (a.k.a. casing), and many others. Plus they come in a bunch of different materials, styles, and profiles. Here's Home Depot's full buying guide. 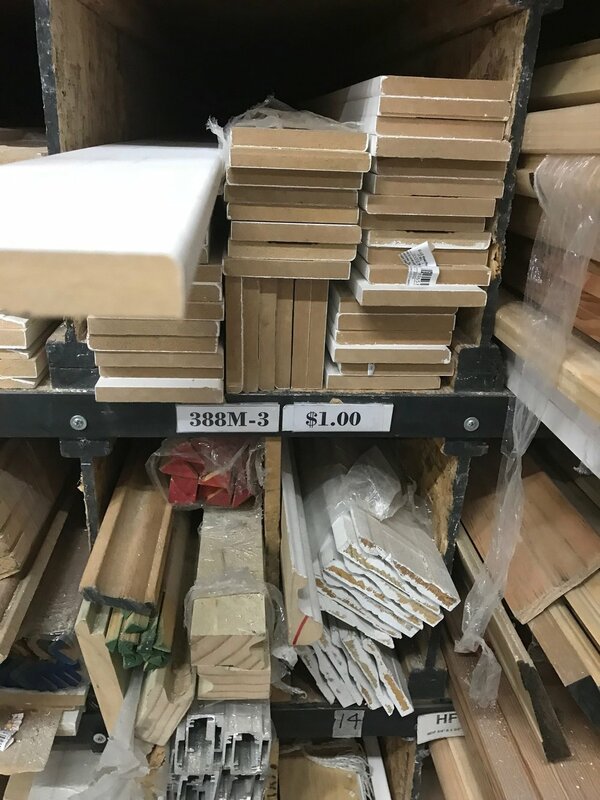 We looked at some at Home Depot, but our contractor referred us to a flooring place that specializes in baseboards and had more options. Too many options. We knew we wanted something modern and simple so that helped narrow it down a little. We liked the look of this baseboard, but the notched out area would 100% collect dust, dirt, and grime. 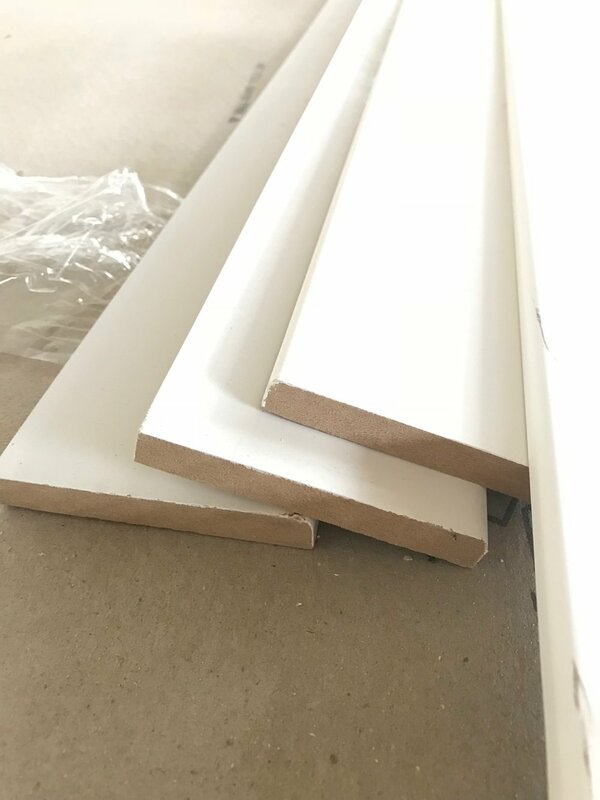 Since we didn't want the baseboards to be the main focus of the room, we opted for this very simple, modern trim with a nice smooth edge (anything that's too square and sharp will hurt if you bump into it!). I don't remember exactly how thick it is, but it's thin enough that our furniture will be pretty flush against the walls. After it was ordered and installed, we also had to take into account some of the areas that needed smaller trim. For example, the area around the kitchen cabinets and closets have smaller trim so that the doors can swing open all the way and not interfere with the hinges. The more you know!